Why is Staging your home important? The real secret to selling a home is in the “packaging” When buyers are looking for a home, they are waiting for the emotional reaction when they step in the door. How a home feels, smells & it’s over all condition play a big part in determining which home a buyer will choose. Using my skills as a Certified Home Stager, I will assist you in “Staging” the home to shine. If needed, as part of my service at no extra charge, a 2-hour staging consultation will be provided. There are so many secrets to getting the WOW response from buyers, from the way the furniture is arranged to the music that is playing. If your home is vacant, Karen will bring in her staging props to help make it feel like home to buyers. When a buyer falls in love with a home, they are almost always willing to pay top dollar for that home. Staging is fun, & cost little or nothing. It does involve time & effort but I believe it is well worth it. Statistics say homes that are staged sell faster & for more money. 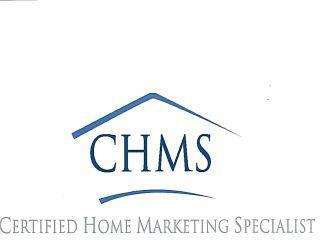 Helping you Stage your home is a valuable tool I provide free of charge & is a part of my 68 Step Marketing plan . Recently I put a home in Fall River MA under agreement in less than 30 days. The home was "Staged" to sell. We had multiple offers & the home sold close to asking price! The sellers were thrilled & agreed "Staging " the home made all the difference. Staging is a MUST for serious sellers.